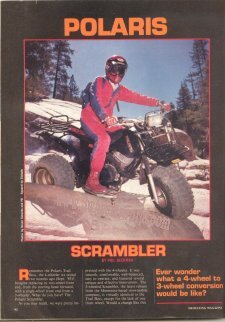 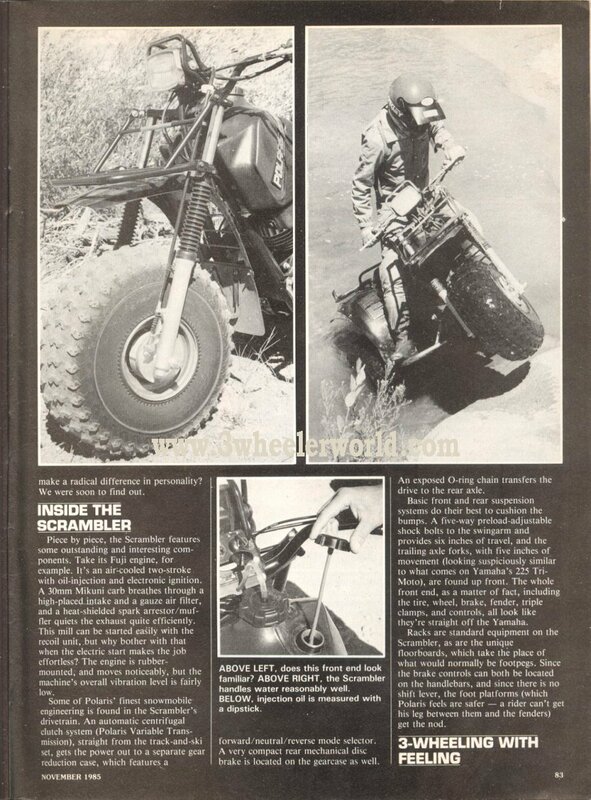 The Polaris Scrambler 3Wheeler was a 244cc 2 stroke. 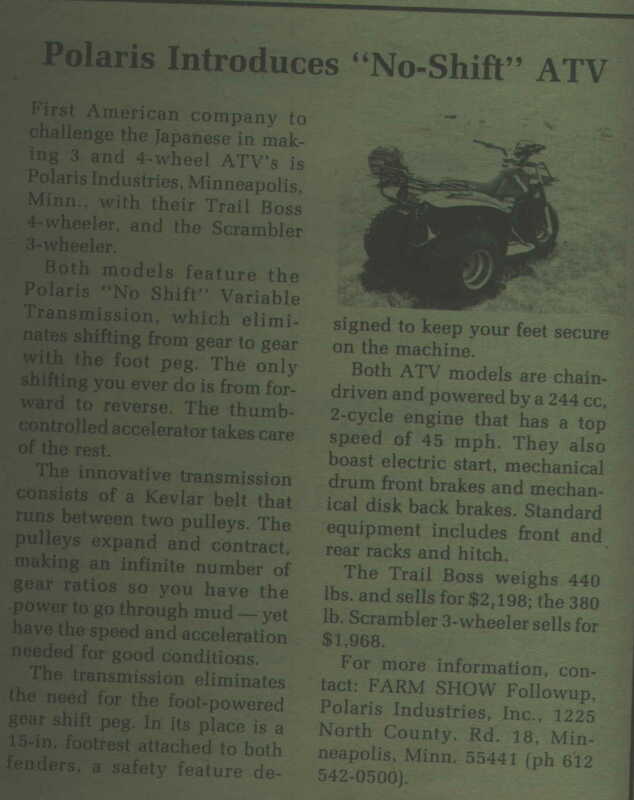 It featured a belt driven variable automatic transmission with reverse, much like todays Polaris's. 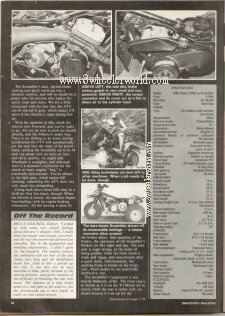 It weighed 380lbs and Sold for $1,968.00 American new. It also got to a amazing speed of 45mph! Check out the Polaris spec page for more info on this machine.